I love making halwa as we don't have to worry about sugary syrup consistencies. 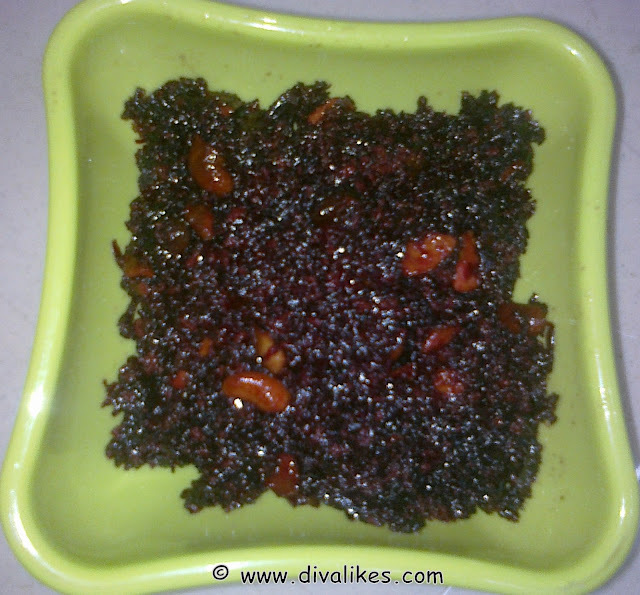 This halwa is easy, tasty, colorful and most importantly healthy. Even kids who do not eat beetroot can't say no to this halwa. Beetroot is a blood purifier and natural detoxifier. Carrot halwa can also be made the same way just by adding a little more sugar. 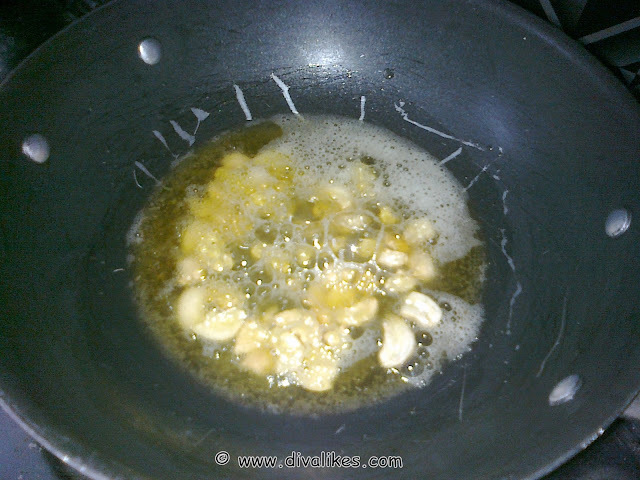 Melt ghee in a nonstick pan. 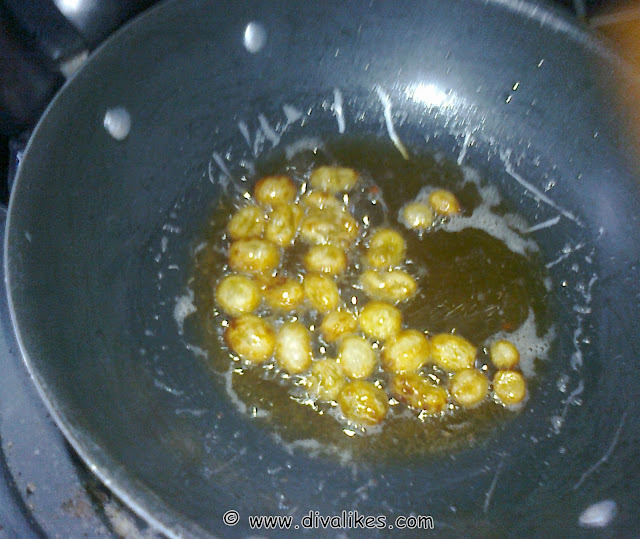 Add cashew pieces and fry till golden brown. Remove the cashews onto a plate and a few raisins, toast well and keep aside with cashews. 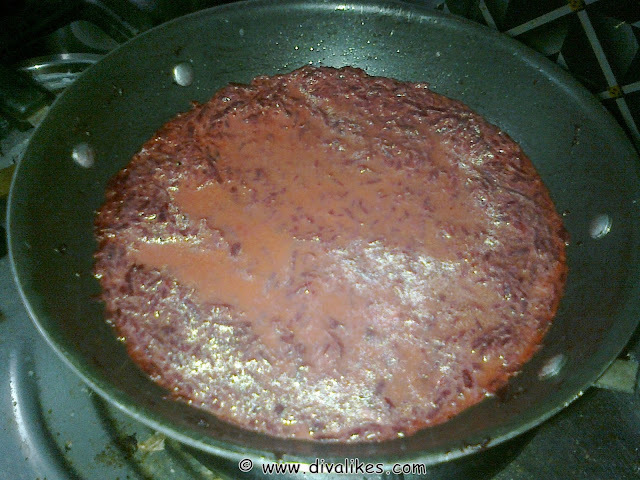 Now add the grated beetroot to the ghee. 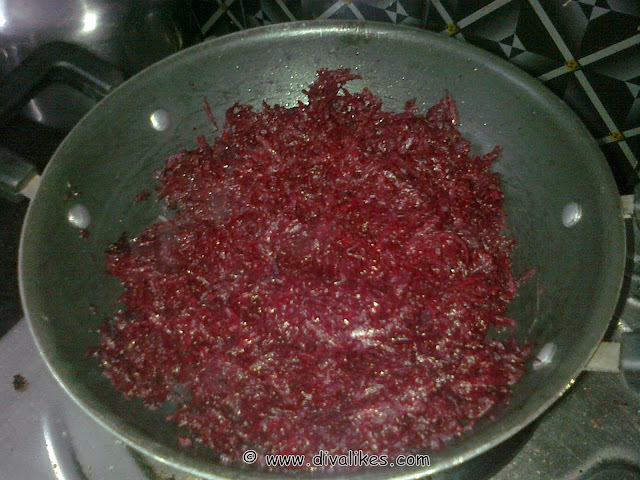 Keep frying occasionally till the beetroot shrinks well and add milk just to immerse the beetroot mixture. Keep the pan covered until the beetroot gets cooked well and the milk gets evaporated. 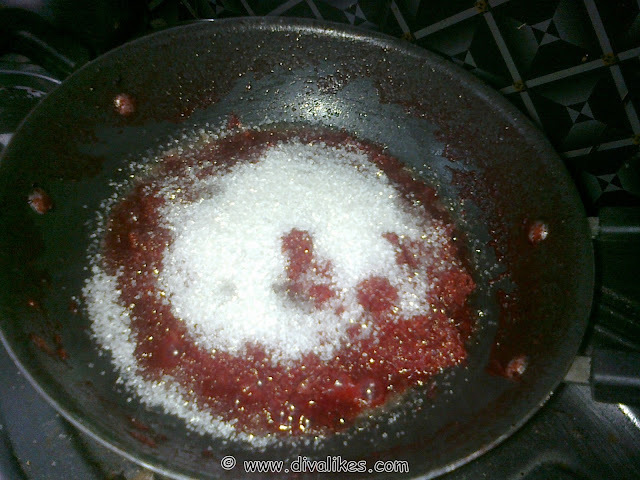 Scrape the sides of the pan and add sugar according to your taste as beetroot has natural sweetness. The sugar melts and the mass becomes watery again. Cook till the ghee oozes out. Add the toasted raisins and cashews. 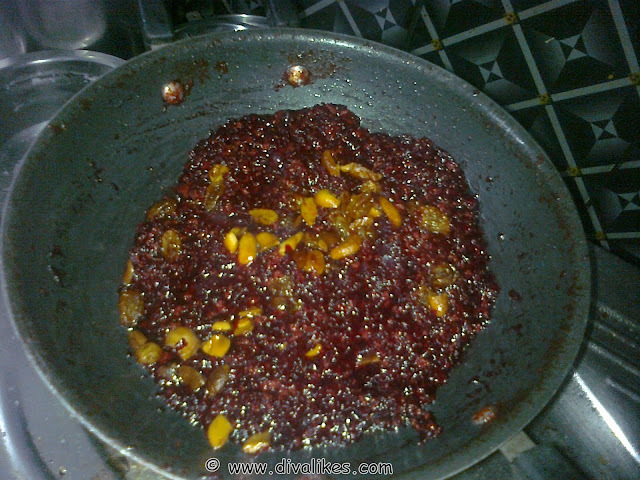 The delicious beetroot halwa is ready to be served. 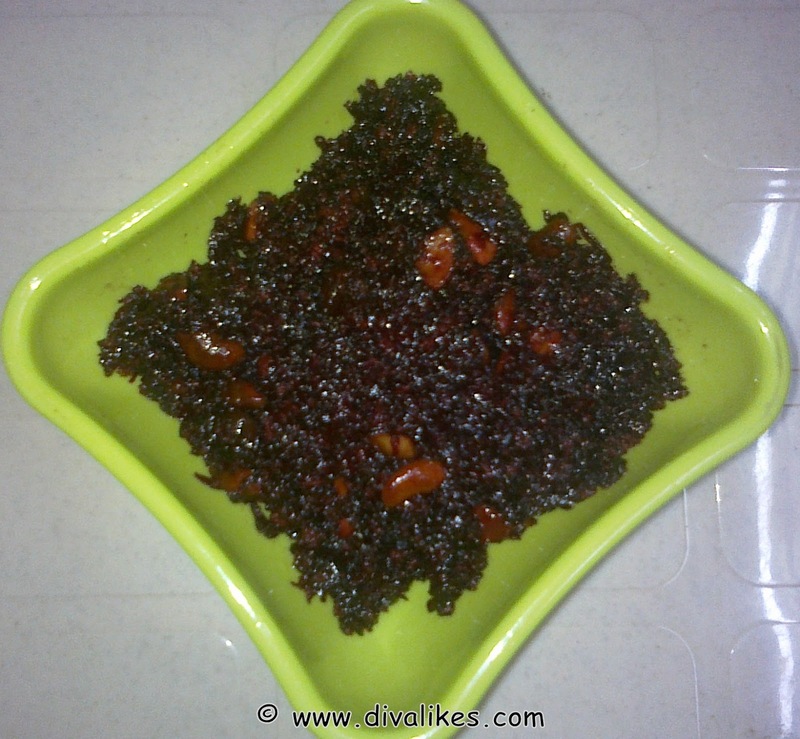 Serve the beetroot halwa when it is warm and you will love it.